Appetite suppressants are substances that reduce the feeling of hunger and satisfy earlier during a meal. So depending on which kind of appetite suppressant is administered food portions can be greaty reduced or the need to snack bewteen meals removed from the equation. The most probable cause of obesity is the amount of daily calories consumed or an inbalance between calories taken on by the body and calories exhausted. It is estimated that a man requires approximately 2200 calories per day while 1800 is the average for woman. Of course lifestyle and body mass have to be taken in consideration. it wouldn’t take the mind of Stephen Hawking to decipher that the easiest way to reduce calorie intake is to eat less food. But then again if the answer was as simple as that then most of Europe and the United States in particular would not be facing the biggest obesity pandemic it has ever experienced. The western world has food in abundance – fast food or convience food is exactly that, fast and convenient. Humans by their very nature have addictive tendencies and so require a little help when temptation is too great to resist. The appetite suppressant has been used for many years to help resist the temptation to eat more than prehaps we should. The most common and frequently prescribed appetite suppressants are Phentermine and Sibutramine – these are chemically created drugs and far removed from naturality. 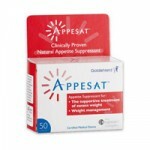 Prescription appetite suppressants can, on occassions, cause just as many problems as they solve. A case in point is Acomplia – a prescription slimming drug based on the chemically produced active ingredient Rimonbant, was recently removed from public usuage and public consumption after being linked with some pretty nasty side effects. The natural worl does have several substances that are both highly effective and in most cases free from adverse reaction and side effect. 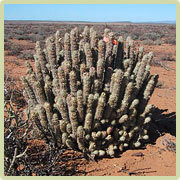 Hoodia can control the hypothalamus, the part of the brain that regulates hunger and appetite. In the hypothalamus there are nerve cells that regulate glucose sugar levels. When we consume food, blood sugar goes up and these cells start firing and creates a feeling of satiety or fullness. Raw Hoodia powder contains a substance dubbed the P57 Molecule that is about 10,000 times more active than glucose. It is highly effective at regulating signals to the hypothalamus and makes the nerve cells fire as if you were full – Hoodia is said to fool the brain into thinking the stomach is full. YDG (Yerba Mate, Damiana and Guarana) – are three of the most effective natural plant extracts to significantly decrease your daily food intake . This YDG combination has added bonus of stimulating the metabolism to create additional energy needed for mobility. A natural slimming product called Zotrim is based around the YDG combination – it has been availble for nearly a decade. Zotrim has most probably the most clinical data and scientific study attached it compared to any other high street or over the counter product. The two above natural appetite suppressants are based around extracts of plants that grow on land – but anither subsatnce that is a fairly new discovery ids found in the sea, seaweed. Unlike Hoodia and YDG, the Bioginate Complex expands in the stomach to create a feeling of fullness.